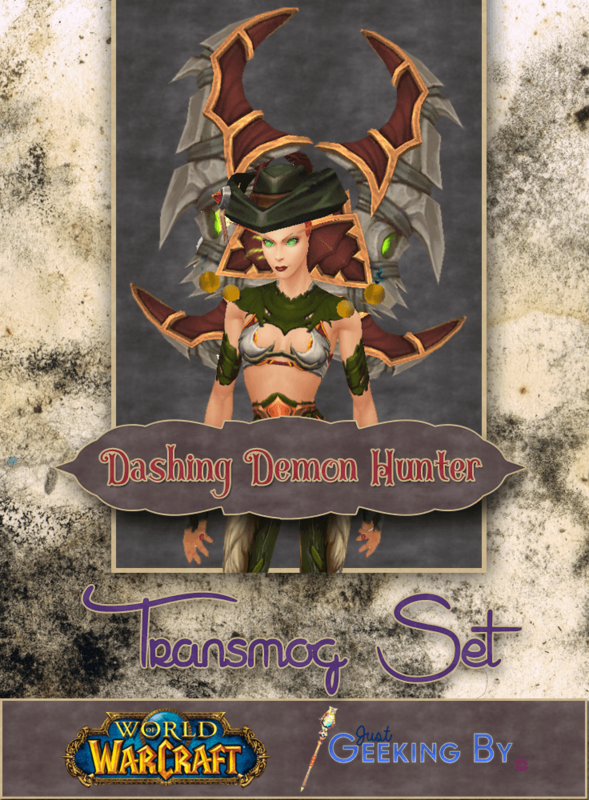 Dashing Demon Hunter is a set that borrows from a couple of other class sets while still keeping a demon hunter-esque vibe. 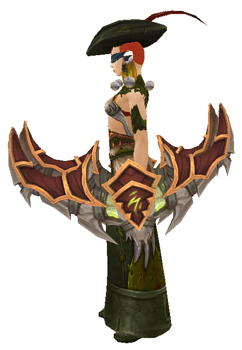 As mentioned the head, item, is look-alike rogue tier, and the shoulders, item, are look-alike monk tier. 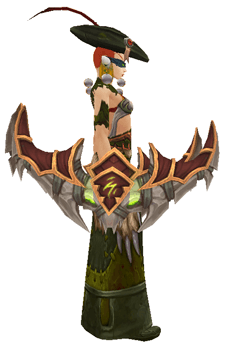 There’s even a couple of items that share appearances with druid legendaries thrown in there. 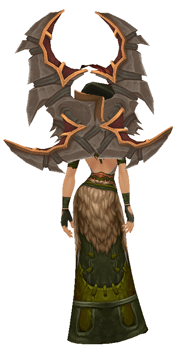 So how exactly does it keep that Demon Hunter feel? It isn’t just the two massive glaives. I like to build my transmog sets around centre pieces and for me the chest piece is one of those. This one is from the Demon Hunter tier 19, and the legs are a skirt that match the chest really well – but are surprisingly from the previous expansion. Image Credits: Texture from Carlbert.